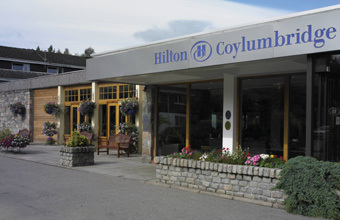 THE Hilton Coylumbridge hotel has created a new package aimed at families with young children. The Toddler Break package runs until November 2013 and offers families a five night stay at the hotel, situated in the heart of the Cairngorms National Park. It includes a full Scottish breakfast every morning, access for children to Cyril's Treehouse play centre, free admission to two local visitor centres and live entertainment. General manager Iain Miller said: "We understand that families are seeking breaks that offer activities for family members of all ages, which is why our Toddler Breaks are always in high demand. "With a range of child and adult friendly activities, we have something to offer everyone. Furthermore, the surrounding scenery of the hotel makes Hilton Coylumbridge a spectacular location to spend time with your loved ones."